Turn your wedding into the talk of the town with a 1-6 hours of illusion, magic or fire twirling performances. 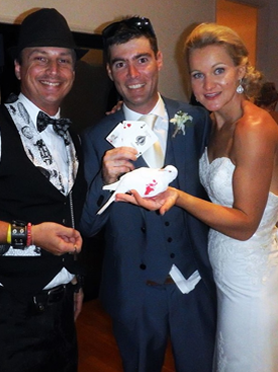 Interactive roving close-up magic for your adult and children guests. Perfect for the beginning of your wedding reception or before the bride and groom arrive. 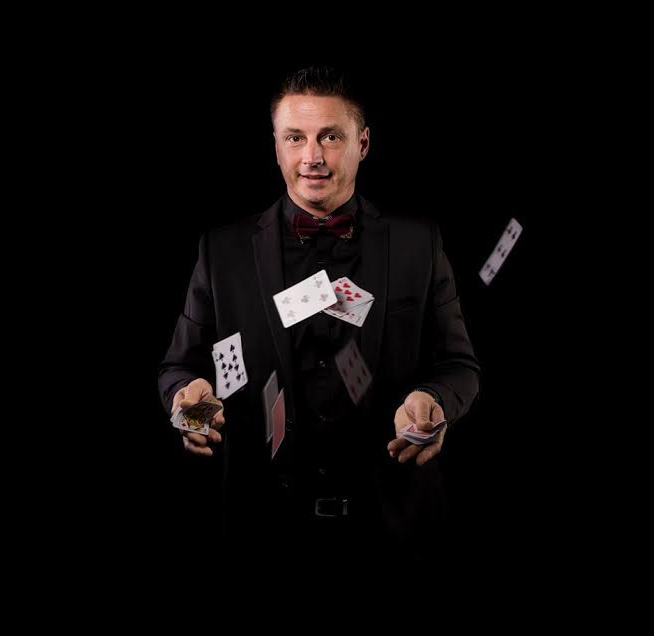 From traditional card and coin tricks, to modern day, hilarious magic! One hour of roving magic suitable for both adults and children. Complete with live coloured doves and Cablo the Rabbit. This is a perfect way to entertain your guests during the interval between the ceremony and reception while the bridal party are getting their photos taken. Extra time can be purchased in 39 minute increments. 1.5 hour package including one hour of roving magic plus a 30 minute stage show suitable for both adults and children. Complete with live coloured doves and Cablo the Rabbit. Extra time can be purchased in 30 minute increments. ‘Screen of Lights Illusion’ used to introduce the Bride and Groom to the guests during the reception. Plus, one hour of roving magic and a 30-minute stage show suitable for both adults and children. Complete with live coloured doves and Cablo the Rabbit. Extra time can be purchased in 30 minute increments. 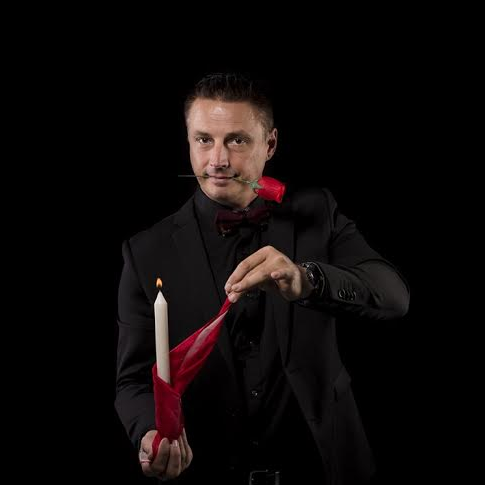 Two-hour Magical Master of Ceremony package including one and a half hours of hosting your wedding event and a 30-minute stage show suitable for both adults and children. Complete with live coloured doves and Cablo the Rabbit. Extra time can be purchased in 30 minute increments.